Le Domaine du Val tourist residence offers you a charming place to stay: 30 wooden homes on the land around the bay. Enjoy an invigorating visit in an exceptional natural area. 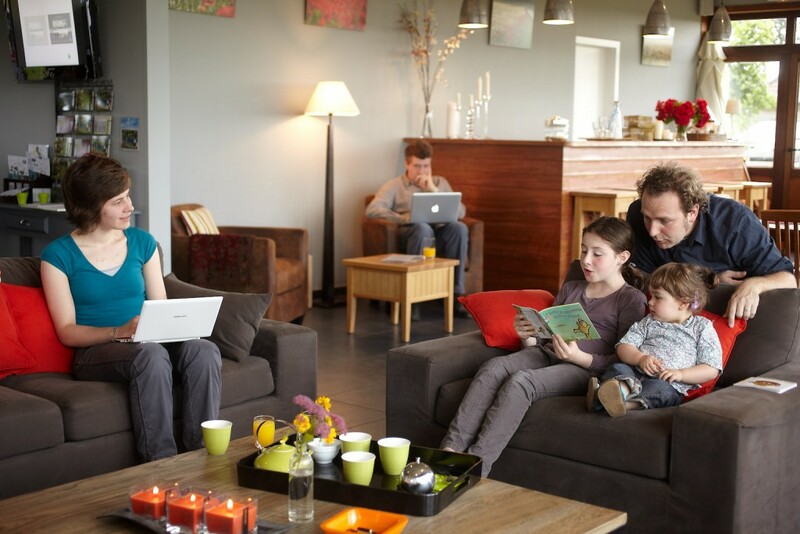 Combining well-being and an ecological approach, Le Domaine du Val welcomes you to its tourist residence for a weekend in the Bay of Somme area. There are thirty very well-equipped wooden homes built on the model of ecological chalets. Le Domaine du Val introduces you to delightful living with a warm welcome, an invitation to enjoy nature and the environment and a taste for the good things in life. For your weekend, you can choose either a T2, T3 or T4 home. Each living unit is equipped with a dishwasher, TV, microwave oven, etc. Among the services, you’ll find a covered swimming pool, a club house, Wifi connection, a children’s corner, a garden and lots of activities. Among friends, as a family or couple, in a group or for a seminar, you can take advantage of our different offers. The Bay of Somme is the estuary of the Somme River which, when it nears the sea, gives rise to a vast expanse combining earth, sea and sky. Some twelve kilometers long, this natural area covers 70 square kilometers and spreads over a distance of five kilometers between Pointe du Houdel (to the south) and Pointe de Saint-Quentin (to the north). The landscape and the area’s present shape are the result of seawalls built in the 19th and 20th centuries. During very high tides, the Bay of Somme may be completely covered with water. This immense nature area has become a favorite environment for migratory birds; it is their stopping place on long migrations or a nesting ground during the summer or winter seasons.